Second in my series of a book and a movie gift ideas is Inkheart, a movie about a book written by Cornelia Funke that was hugely popular with the tween and teen set. I have not read the book myself but my son heartily recommends it. 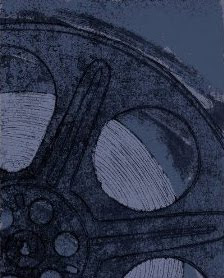 He was quite excited to hear that the book was being made into a movie although slightly nervous to see what result would be made of a beloved tale. The storyline in the book Inkheart follows a girl and her father as they travel in search of a book and her mother. It turns out that the father is a silver tongue and, whenever he reads aloud from a book, someone or something appears out of the book...and someone or something else goes back in, which is how the mother was lost. Of course, not everything that comes out is pleasant and includes several evil characters. The movie pretty much follows the storyline of the book although, according to my son, it is not as good as the book. I enjoyed the movie though and think that any one who loved the book would enjoy seeing what they made of the film. Inkheart is a family film, rated PG or parental guidance because it contains some scary moments and brief language. It is available on your choice of DVD or blu-ray disc. The blu-ray disc is not highly praised by the experts so this is one movie that you might want to gift on DVD unless you are interested in what blu-ray.com considered a "rousing TrueHD audio track." 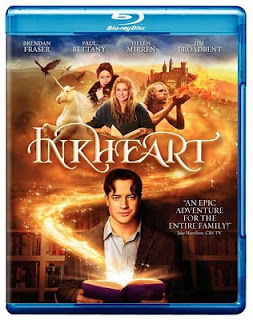 Inkheart is not a blockbuster but rather a pleasant family movie for home video. Team it with a copy of the book for an interesting gift set for the tween in your life. Buy Inkheart the book from Amazon. Buy Inkheart the movie from Amazon.